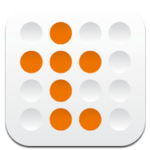 Do you find that your native Apple iOS calendar just leaves you wanting more? I rely heavily on my calendar for managing multiple team members, deals, clients and life. The calendar is a crucial part of my business and I am sure yours as well. Forgetting to use my calendar can be catastrophic, like the times I neglected to insert a friend’s wedding or post a family vacation. Finding something that works, easily, is as important as remembering to use it. Using Google Calendar as my primary dashboard because of its sharing and color-coding capabilities, I then looked for a solution that would translate well to a mobile app. 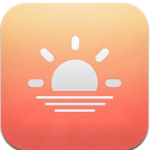 I found Sunrise and Tempo, two apps that integrate beautifully with multiple Google calendars and your social media. 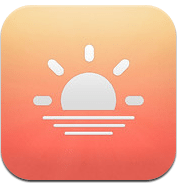 Sunrise has great features such as connecting with Facebook and LinkedIn to pull pictures of the people you are meeting with right in the event. If someone is not a connection on a social platform, it will just use their name. I use this as a reminder to go connect with the person on a social platform. It helps me to learn more about the people I will meet and to remember details about them. It also allows me to map directions directly from the app; that way I never get lost on my way to meetings. If I do my job and put the details in when I set a meeting, I never have to search for a location or get lost. Celebrating birthdays is another great reason to connect with people; in the app you can set a time to remind you of all the birthdays each day so that you can wish them well. If you put detailed notes in your events section on Google, this app imports them and has a great way for you to add more. I personally like the intuitive nature of its icons: I see a car when I have to do driving, balloons for birthdays, forks for meals, etc. This app definitely has the right bells and whistles that help me build better relationships. 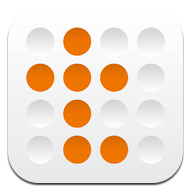 Tempo boasts that it is better than a personal assistant, and, from a calendar and reminder standpoint, I would agree. It stores documents within your events, will store conference call numbers, and will even allow you to email or text clients if you are late. This app has a deeper integration into all the Google tools than most. The social integration is great pulling info from LinkedIn and Facebook. This app does take more time to set up and requires a longer learning curve. Although now that I have it all set up, I find that it eliminates the need to leave the app to accomplish things such as email, document review and more. Since I am using both apps, I used Sunrise because it was quick and easy to set up. I also found that Sunrise was more intuitive until I took the time to get really familiar with Tempo. If you make the switch, make sure you take the time to set them up and learn them. They are both great for optimizing your calendar, your business and your life. If you find any really cool ways to make these two apps work even better, leave me a comment below!